In the old drum machines, the cowbell was not tunable. Newer cowbell modules give you knobs to tune the two square waves. However, if the two frequencies are not in the correct relationship to one another, then it does not sound like a bell at all. 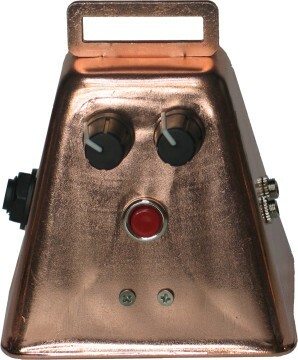 The Delptronics ThunderBell keeps the two waves in the proper relationship across a wide freqency range. 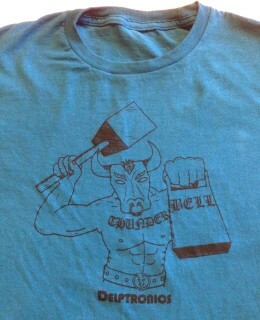 So, it is a truly tunable cowbell. There is also some room at the lower end where the sound gets weird and fun, if not bell-like. The ThunderBell also gives you broad control of the decay, so you can create short "tinks" or long "dings". The ThunderBell Eurorack Module gives you voltage control of both the pitch and decay. The CV inputs are 0 to 5V and cover the whole range of the module&apos;s sounds, it is not 1V/octave. We also include a trigger button so you can throw a bell into your mix whenever the mood strikes you. The ThunderBell in a Cowbell (or mini kit) has an analog gate input and pitch voltage control input. Both pitch and decay are controllable with knobs, and of course there is a trigger button. is 3.7" tall, 3.1" wide, and 2.3" deep (94x79x58 mm). 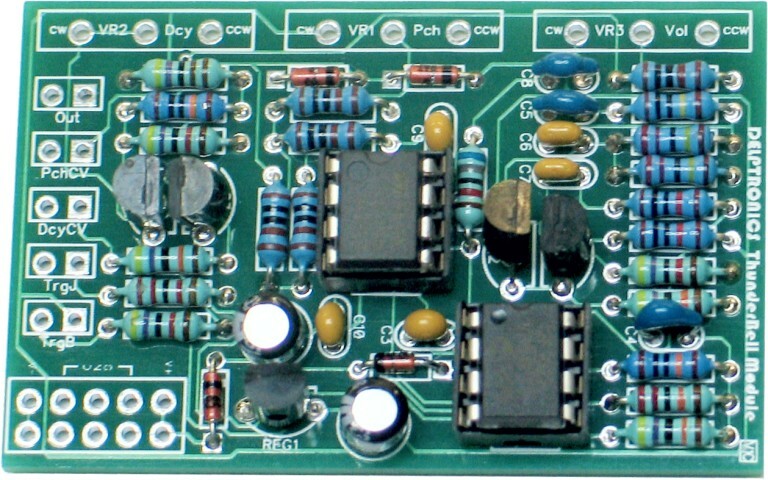 The ThunderBell kit comes in two versions: Module and Mini. 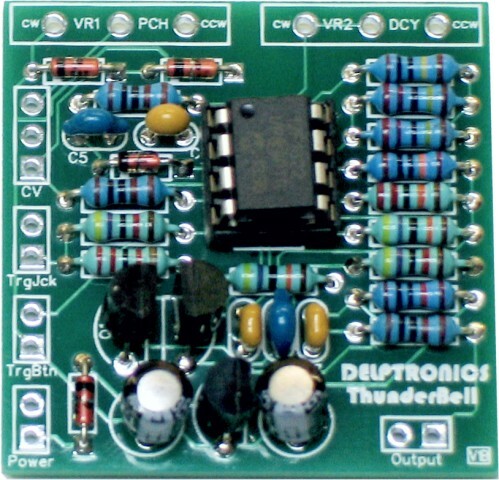 The Mini circuit board is used in our ThunderBell in a cowbell. The table below details the differences between the two kits. The main difference is that the Module kit includes extra parts to amplify the output up to synth levels and for voltage controlled decay.